Chef Mariel Montero at Huma Mexican Comfort shows how you can make one of her most popular dishes at home. To some, home cooking means anything cooked at home. Yet it's more about the style of cooking, the type of recipes, or even the fond memories associated with a certain meal. 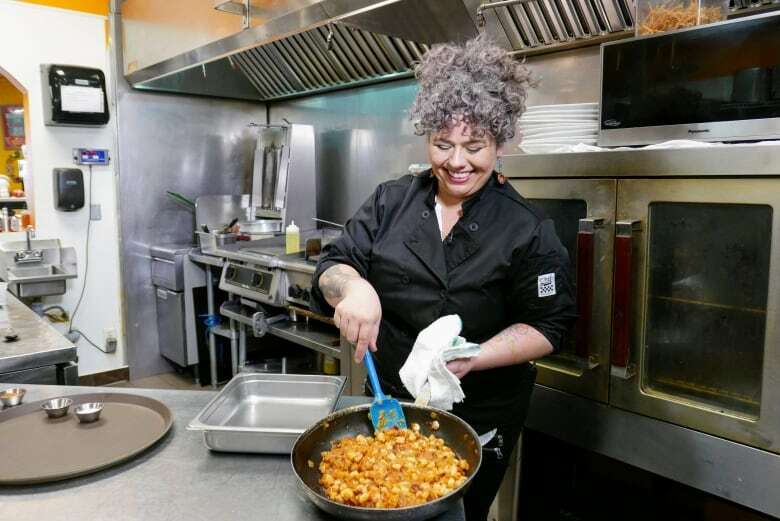 For chef Mariel Montero, owner of Huma Mexican Comfort, home cooking is synonymous with the food she cooks at the restaurant; which keeps her so busy, she rarely even cooks at home. "Honestly, I don't have any [ingredients] at home. I never cook at home and even when I cook for friends and family, I pre-cook at the restaurant and finish it at home." After training as a chef in Mexico for five years, Montero travelled the globe, cooking and learning along the way. Despite the professional experiences, she credits her infectious passion for Mexican cooking to her grandma. "Grandma taught me a lot of things and actually a lot of the recipes at Huma are coming from her. Most of the homey feeling for my restaurant is from all those family weekends when Grandma and myself would prep all this food for everybody." Family and Mexican comfort sum up perfectly her philosophy on food. That's evident even in the name of the restaurant. Huma is a combination of the first two letters of her husband's name, Humberto (Beto), and her own. 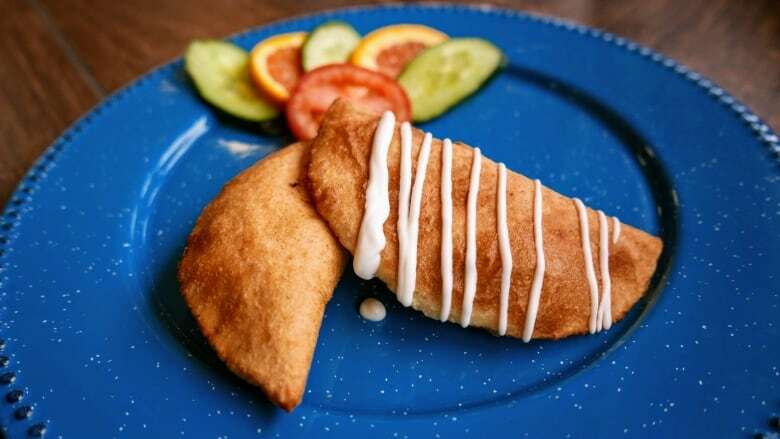 One of chef Montero's favourite recipes from her grandma is empanadas del mar, a corn dough filled with shrimp and cheese, and fried until golden. Though every region of Mexico will have its own version of empanadas, incorporating the sea and the Mexican staple of corn in the form of masa feels like home to her. "Grandma was always hosting parties at her house, so for sure the first help around was always me," said Montero, recalling warm memories of cooking for family. Though the recipe is quite simple, there are a few tips to help ensure success. First, be sure to sauté the onions until soft and cook the entire filling until the excess moisture is evaporated. A too-wet filling leads to a soggy empanada. Also, after mixing the dough, remember to cover it with a moist towel to prevent it from drying out too quickly, though if it does dry out, it's easily fixable. Just sprinkle more water on it and remix. Finally, when frying your assembled empanadas, fry only two or three at a time. Overcrowding the fryer will drop the temperature of the oil and make for greasy empanadas. Montero's love for cooking is easy to see and according to her that love shouldn't be a surprise. "Growing up in Mexico is all about food. I think we talk and think about food 24/7. 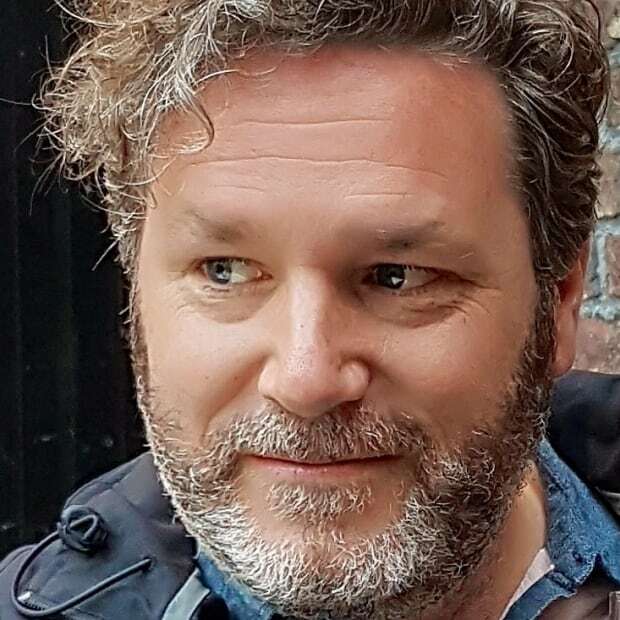 "My husband and I started dating after he asked me about food, so I guess it was meant to be." In a hot pan with some vegetable oil, sauté the onion and the garlic until translucent. Add tomato and chiles with adobo sauce. Let them reduce and the liquid cook off. Add shrimp and bay leaves. Let it cook for 10 minutes over medium heat. Salt to taste and cool it down (make sure that is cold before filling). Add mozzarella to the mixture. Mix Maseca and salt in a medium bowl. Add water gradually, mixing the dough as you pour. Knead while adding cooking oil — dough should feel like playdough. Let dough rest for 30 minutes, cover with a wet cloth. Using a tortilla press, take about 80 grams of dough and flatten. Fill empanada and fold over into a half moon shape, make sure the dough is sealed. 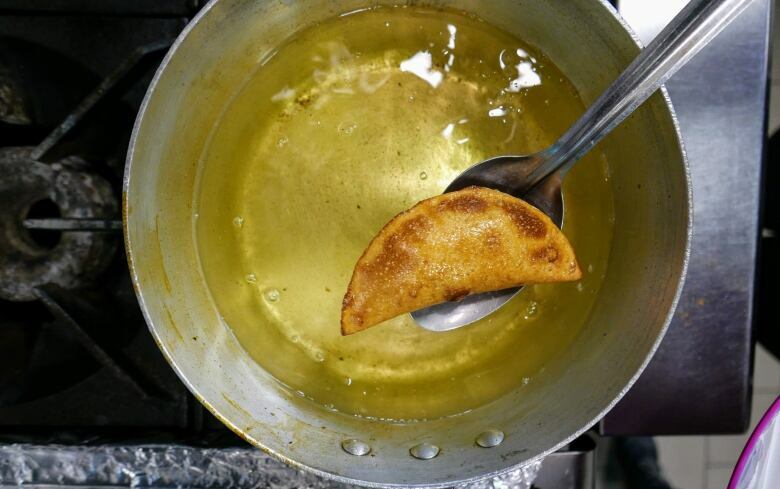 Heat oil to 350º F and fry empanada for 3 minutes until golden and crispy. Lay on paper towel to get rid of extra oil. Drizzle with crema and enjoy! *Each cup of mixture will be enough to fill 4 empanadas. *This recipe yields 3 cups = 12 empanadas.